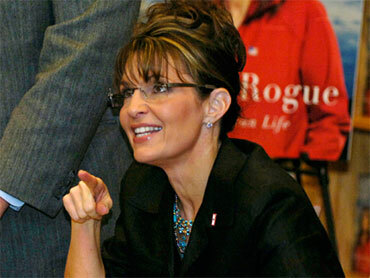 Sarah Palin continues to draw negative attention to herself. There’s an old story that occasionally makes the rounds in Washington. In the 1970s, a magazine (now long defunct) named New Times reported that Sen. William Scott, a Virginia Republican, had been ranked the “dumbest” senator in a survey conducted by a public interest group. Subsequently, Scott held a press conference to deny the charge — thereby proving he was pretty darn dumb. After all, he only called more attention to the accusation. Sarah Palin has taken a Scott-like position. On Aug. 10, PolitiFact rated Palin’s statement Pants on Fire [its highest — or lowest — rating]. In the weeks that followed, health care policy experts on both the right and the left said the euthanasia comparisons were inaccurate. Gail Wilensky, a health adviser to President George H.W. Bush, said the charge was untrue and upsetting. “I think it is really unfortunate that this has been raised and received so much attention because there are serious issues to debate in health care reform,” she said at a forum on Sept. 3. Not literal, but accurate — as in, well, you know what I mean. Now Palin is again taking issue with being called a liar. In a new Facebook posting, she scoffs at “Nancy Pelosi and friends who have tried to call ‘death panels’ the ‘lie of the year.’ ” She doesn’t mention it was the neutral PolitiFact.com that branded her statement the whopper of 2009. And she claims she has proof she was correct in the first place. The pending Senate health care bill, she says, calls for an Independent Medicare Advisory Board to find ways to cut costs. This, she writes, “is also known as rationing.” If that’s the case, then every insurance company and health care firm in America is a death panel, for that’s what they do each day: seek ways to trim costs to bolster profits. Tough policy matters aside, Palin is playing loose with the facts about her own pronouncements — and calling even more attention to her dubious distinction of promoting the lie of year. The big question is, in this category, can she top herself in 2010? This entry was posted in Sarah Palin - Private Citizen and tagged Congressional Budget Office, death panels, Gail Wilensky, George H.W. Bush, Greg Sargent, Harry Reid, health care reform, Independent Medicare Advisory Board, Nancy Pelosi, Pants on Fire, PolitiFact.com, President George H.W. Bush, President Obama, President Reagan, Sarah Palin, Sarah Palin death panels, Sarah Palin Facebook, Sarah Palin health care, Sarah Palin healthcare, Sarah Palin lie of the year, Sarah Palin Pants on Fire, Sen. William Scott, William Scott. Bookmark the permalink.